When I first interviewed Norvan Tan early last year, he came across as a very ambitious entrepreneur — at only 21, he has had vast experience running five different businesses. He was still studying at Republic Polytechnic then, but upon graduation, Norvan has gone full swing into focusing on his entrepreneurial ventures. His footwear business Blackout SG, which specialises in customisable flip flops and sandals, is still going strong in terms of both online and offline sales. With steady sales, Norvan commented that the business is now moving on “auto pilot mode” and has since expanded to do import and export, as well as events such as hosting workshops where customers can customise their own footwear. Meanwhile, his dessert catering business Icy Treats Singapore has expanded its offerings to include popsicles and slushies instead of just Korean bingsu (shaved ice dessert). Beyond doing live stations for events such as birthday parties and weddings, it has also served corporations like DBS Bank, Singapore Management University, Tan Tock Seng Hospital, PayPal, as well as Guardian. On the sidelines, Norvan is also doing sales for a friend’s aluminium production company and dabbling in cryptocurrency investments — “it’s good to have different sources of income!”, he quipped. True to his belief, Norvan started up a new business venture last year with actor Danial Ashriq, who is well-known for his role in local TV series ‘Police & Thief’. Norvan got acquainted with Danial when the latter became the brand ambassador for Blackout SG, and their business partnership quickly blossomed into friendship. Sharing a keen interest in cooking, the duo felt that it would be apt for them to start a F&B business together. 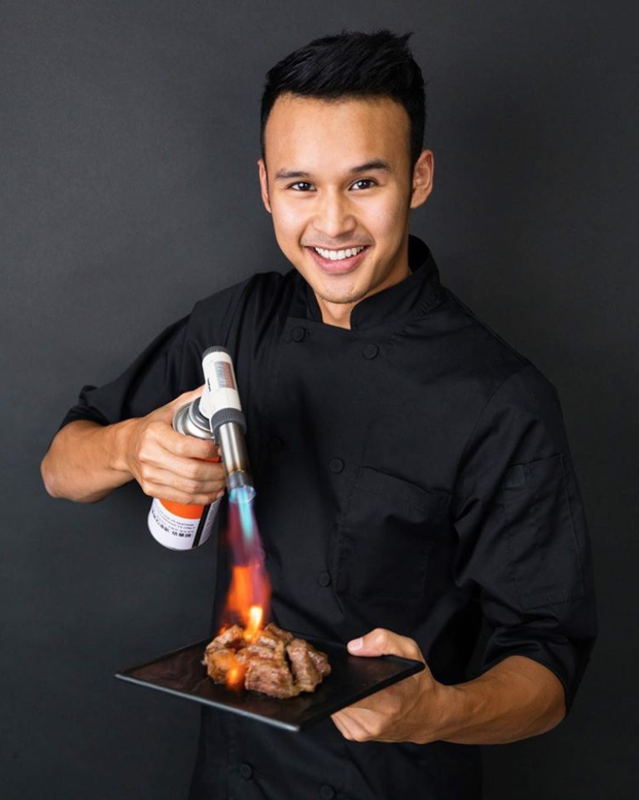 I was [inspired by] the idea of blow-torched beef cubes [when I was traveling] in Taiwan. The beef cubes were really succulent and juicy! The torching [slightly chars the outside], while allowing the insides of the beef to be slowly cooked on the griddle. “I decided to bring this concept to Singapore with a twist, adding our own unique flavours to it. And since my partner is a Muslim, we wanted to create something [Halal] which everyone can enjoy,” said Norvan. A self-professed foodie, Norvan enjoys creating his own recipes by fusing different cuisines and cooking styles together. Using premium-grade beef, he conceived the idea of dressing them with Mentaiko sauce and seaweed flakes. He also curated multiple dipping sauces such as sambal belacan (spicy shrimp paste), garlic chilli, black pepper, and barbeque sauce to add another dimension to the flavour. After rounds of R&D and food tasting, they finally got nods of approval from their family and friends, boosting their confidence to finally launch the business. They also took on roles that they were proficient in — Norvan oversaw the entire business operation, from menu management to accounting, while Danial handled the branding front. 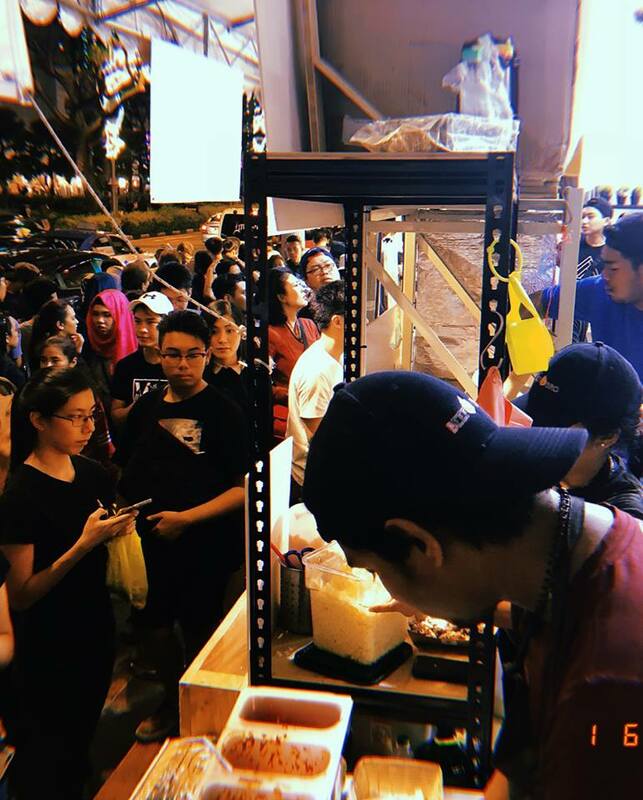 Called Beef Bro, the duo chose this year’s Geylang Bazaar as their launchpad because it catered to their target demographic. But one thing worried them: the high pricing. Using quality ingredients has forced their “main cost [to] skyrocket”. 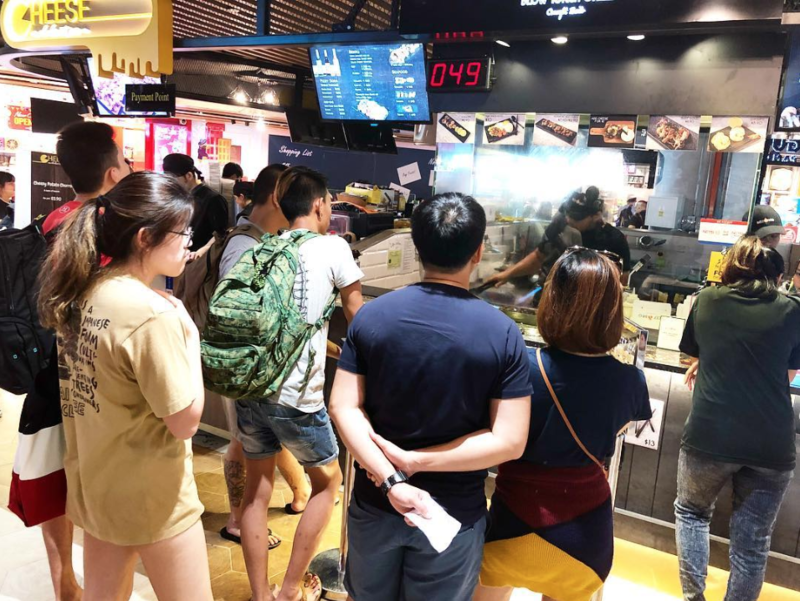 With a menu that ranged from $12 to $18, they weren’t sure if it would sit well with their customers, especially since it’s a traditional bazaar. “[Deciding on] the pricing was really tough as we wanted to keep it affordable. 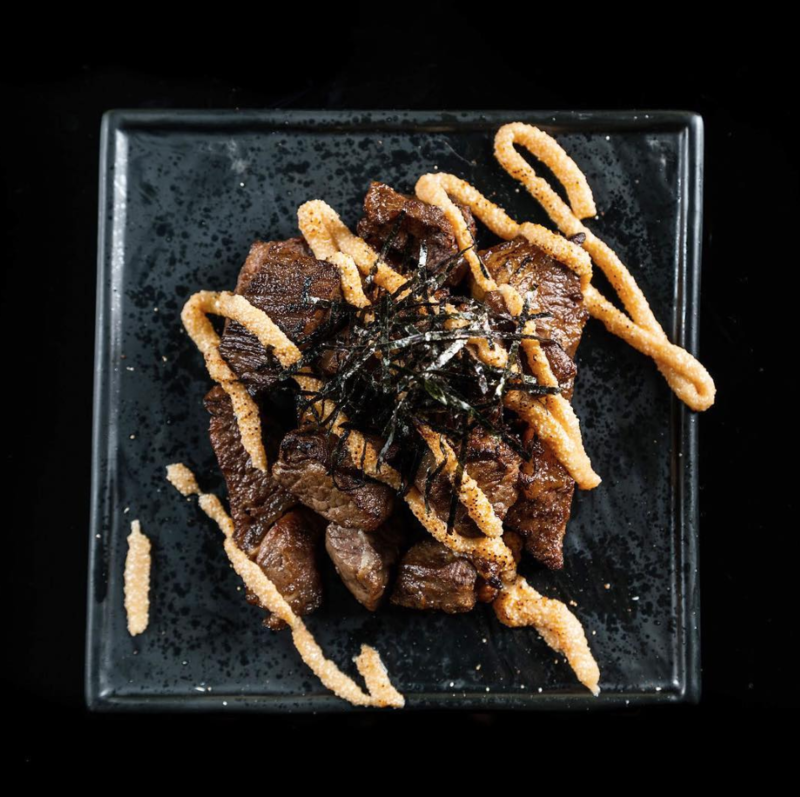 The beef cuts we use are premium rump from Australia, and our Mentaiko sauce and shredded seaweed [hail from Japan]. Our [ingredient] cost is pretty high so our margin became thin, but we felt that the sales volume would make up for it,” said Norvan. We honestly only expected sales revenue of $80,000 for that month, but we were astonished by the overwhelming response. We sold an average of 600 portions a day, [raking in] about $250,000 revenue overall. 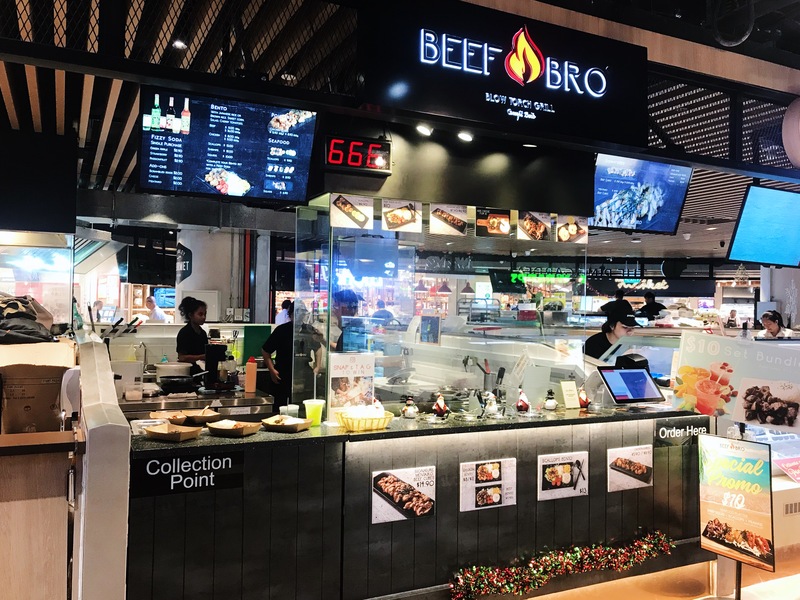 With such a novel food idea, Beef Bro was listed as a must-try item in many articles and this helped to propel their popularity at the bazaar. In fact, their queues were always so long that they extended to the neighbouring kiosks, with a maximum wait time of 2 hours. Spurred by the huge demand, the duo felt that they should ride on the wave and convert their pop-up stall to a brick-and-mortar outlet. They pumped in $300,000 to open an outlet at Century Square, which brought about a new set of challenges. “Responsibilities and workload started [piling] up like crazy, and my partnership with Danial also fell through because he wanted to focus on his acting and family,” said Norvan. With Danial’s departure, he secured three investors — his father, friend Kelvin Tan, and chef Khairul Anwar Zakaria — who later came onboard as business partners. They rebranded the F&B concept to identify Beef Bro as more of a “staple food”. In line with this, it expanded its menu to include bentos, sandwiches, as well as beverages. They also included other variations such as chicken and seafood to expand their selection. Prices range from $5.90 for the chicken cubes to $14.90 for the hot favourite mentaiko beef cubes. Bento sets on the other hand, cost $8 and up. Additionally, the Century Square outlet is a takeaway kiosk instead of a dine-in concept. 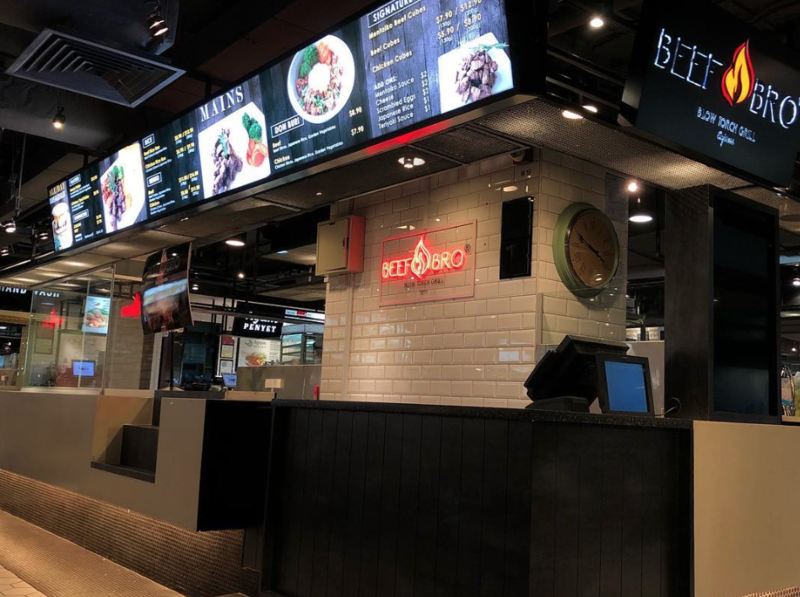 Commenting on the outlet’s performance, Norvan remarked that the location had positive human traffic so the outlet enjoyed great customer turnout from the get-go. On average, the outlet generates about $1,500 revenue a day. Adopting the same model as his dessert business, Beef Bro has recently branched out to do live stations for events to bump its sales. 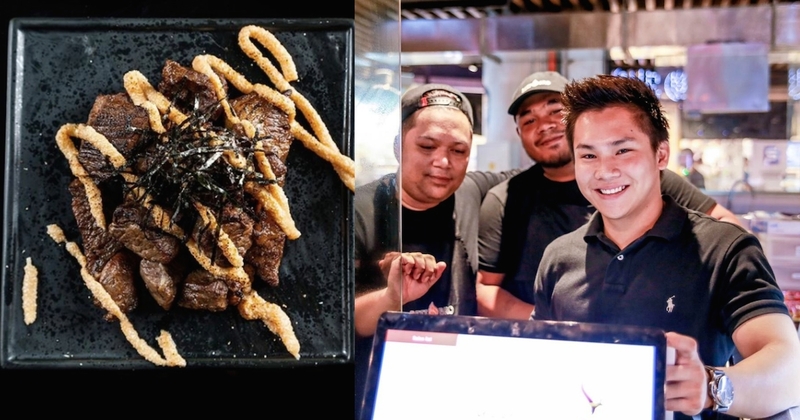 In less than three months of operation, Beef Bro has launched a second outlet at Raffles Place to target the CBD crowd. For this new outlet, Norvan said that his staff will personally conduct deliveries to the offices to save on costs. It’s all about setting goals. For me, I’m a car enthusiast so I always use the cars that I want to buy as a benchmark. It’s never too early or too late to start. I’ve just turned 23, so [age] is really not an excuse.